This was just one of the comments of the 100+ participants in the second international conference BeyondRCT: towards Co-operative Citizen Science in Food and Health, that took place on 25-26 September in Amsterdam. 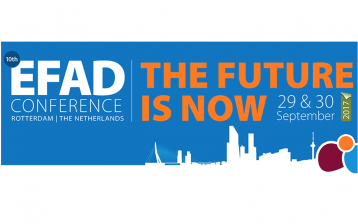 The conference was organized by the Dutch patient-led Foundation My Data Our Health and supported by a large number of healthcare organizations, business and patient organizations. c) organizing an appropriate data-infrastructure that allows for a technical and ethical data flow. 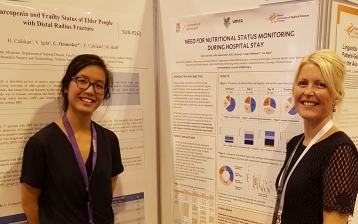 Amidst the keynotes and the interactive break-out sessions, the recently granted (€ 2.6 million) innovative project ‘MyOnwResearch’ was formally kicked off. The MyOwnResearch consortium aims at identifying homogeneous subgroups in fatigue management across chronic immune diseases through single-subject research design. 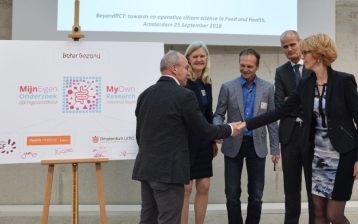 BeyondCT-2 laid the foundation for a multi-annual working programme on Co-operative Citizen Science, that will be elaborated in the months to come .